Broad in scope, this introduction to environmental ethics considers both contemporary issues and the extent of humanity’s responsibility for distant future life. John Nolt, a logician and environmental ethicist, interweaves contemporary science, logical analysis, and ethical theory into the story of the expansion of ethics beyond the human species and into the far future. 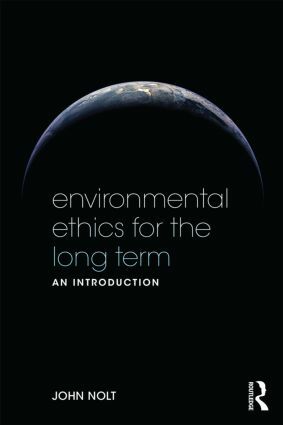 Informed by contemporary environmental science, the book deduces concrete policy recommendations from carefully justified ethical principles and ends with speculations concerning the deepest problems of environmental ethics. Pedagogical features include chapter outlines, annotated suggestions for further readings, the explanations of key terms when first mentioned, and an extensive glossary.